Mehra Peak or simply Mehra, Khongma Tse stands tall at a height of 5,849 meters. 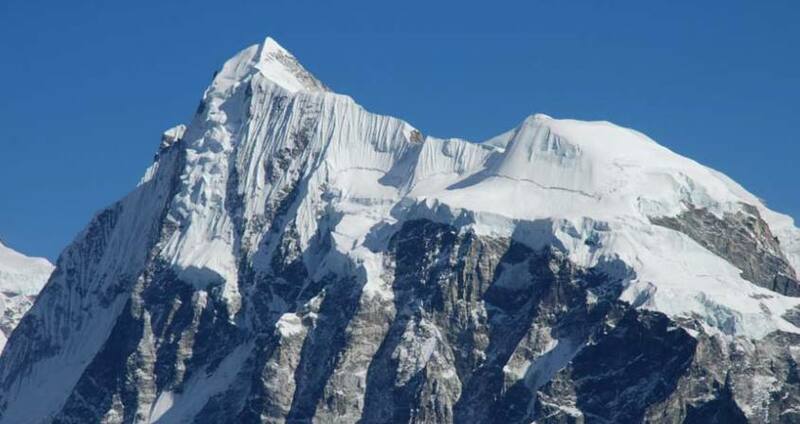 It rises to the north of Kongma La and stands above the Khumbu Glacier opposite of Lobuje. Khongma Tse Peak Climbing is one of several summits, which make up the long south-west ridge of Nuptse between the Khumbu and Nuptse Glaciers. Seen from Gorak Shep, the summit has a diamond shaped hanging glacier above a steeply inclined rock wall that makes up the mountain's North Face, which is in turn slashed by a diagonal ice ramp leading to the lower edge of the glacier. From the south the mountain is much more approachable. Seen from the lakes east of the Kongma La, a small, stepped glacier descends from the summit between long, rocky arms that make up the mountain's South and South-East Ridges. The margins of the glacier provide the normal route of ascent. Another highlight of this trek with Pink Mountain Treks and Expedition is the climb of Pokhalde Peak, which provides spectacular views of the peak. The views northwards towards Pumori and the Lho La are impressive as well.